Beside a stream and willow trees that are a haven for garden birds and just a minute from the harbour, these two family run pine lodges are a perfect place to retreat to and explore this beautiful county . We extend a warm Northumbrian welcome and aim to provide cosy restful breaks all year round. 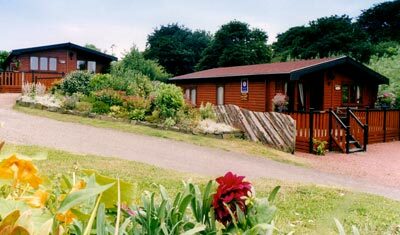 Made from natural pine, each lodge is a beautifully self-contained holiday home. Fully insulated to be warm during the winter months and pleasantly cool during warmer weather, these lodges are ideal throughout the year for long, restful holidays or short breaks. Pets, cyclists and walkers welcome. Visit Britain 4 star rating.